eHi Everyone! This is going to short and sweet as I’m the host of this weeks challenge at The Corrosive Challenge blog, so hop on over there and see what we are up to! 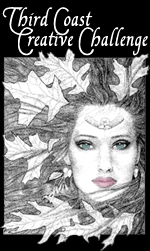 We have a fabulous sponsor this fortnight, Faery Ink and she is generously offering 3 digis to the winner. For my project I choose Bella Love Spells, because she was super adorable and totally stole my heart! I kept the card simple. Just some layers, ribbon and a few gems. Be sure to check out all the other inspiration our wonderful design team whipped for you also! Hope to see you at the challenge!